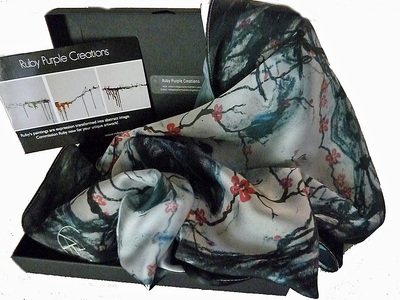 with each scarf coming stylishly boxed for ease of care. 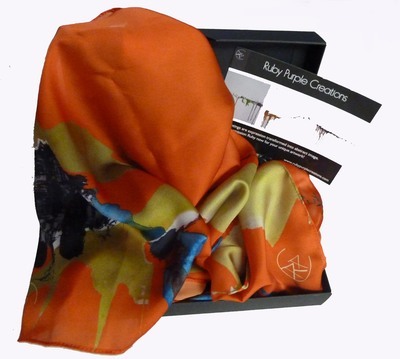 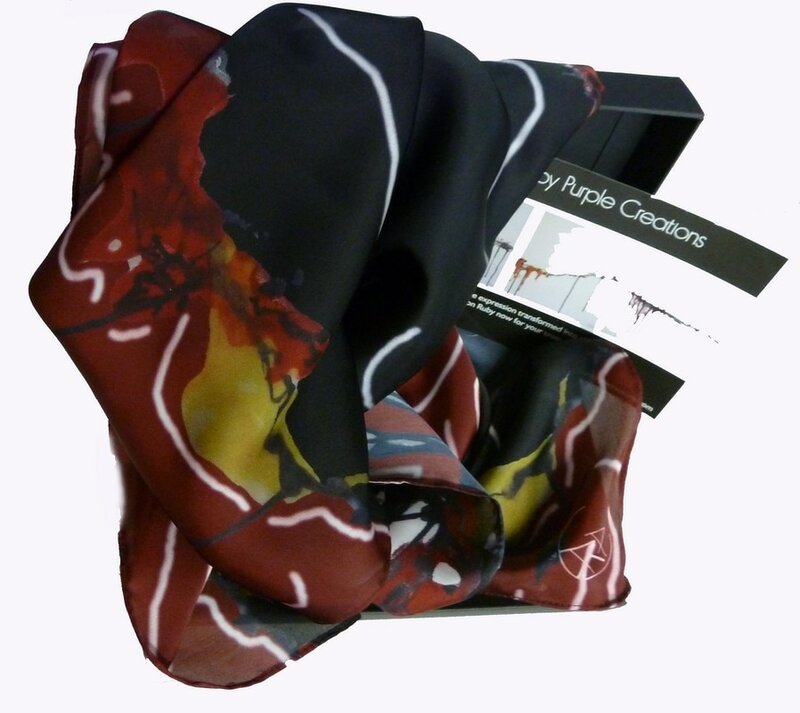 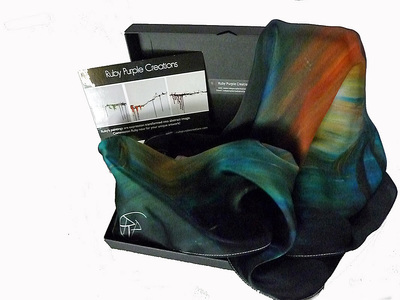 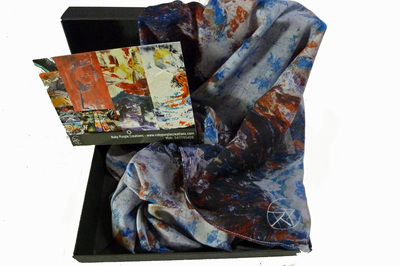 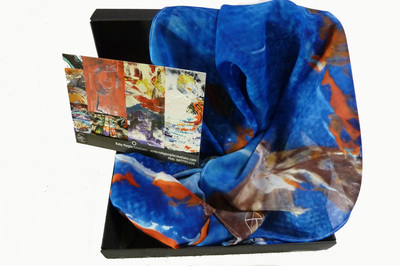 Ruby designed and released her scarves to allow you the opportunity to wear the art you love! 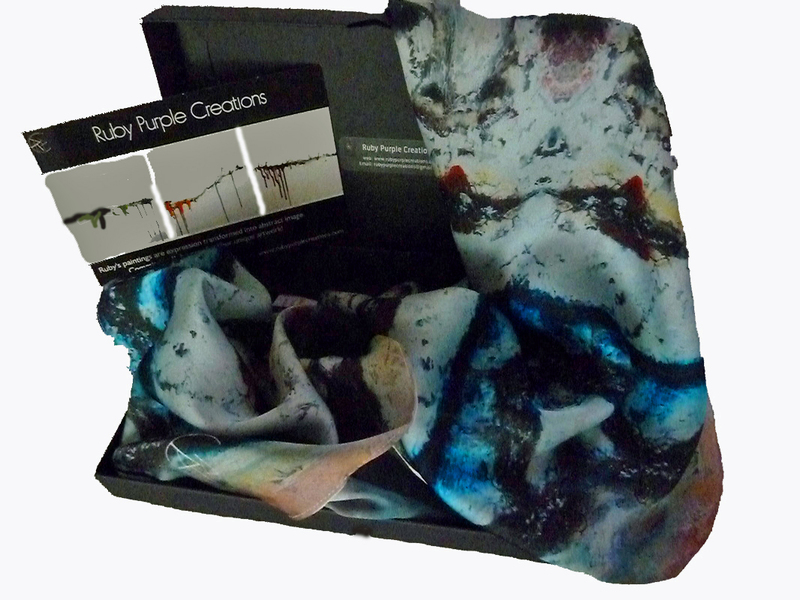 Own your own Ruby Purple Creation! 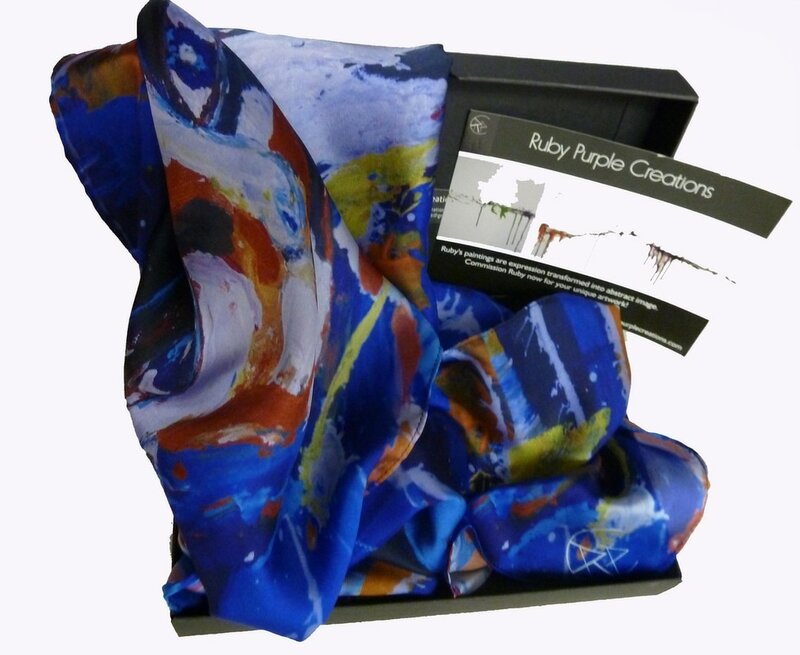 ​Have a group who'd like to learn - Ruby will travel to show you how she does what she does. 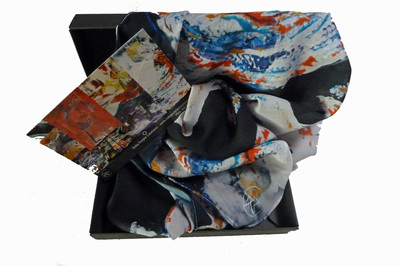 Contact her now! 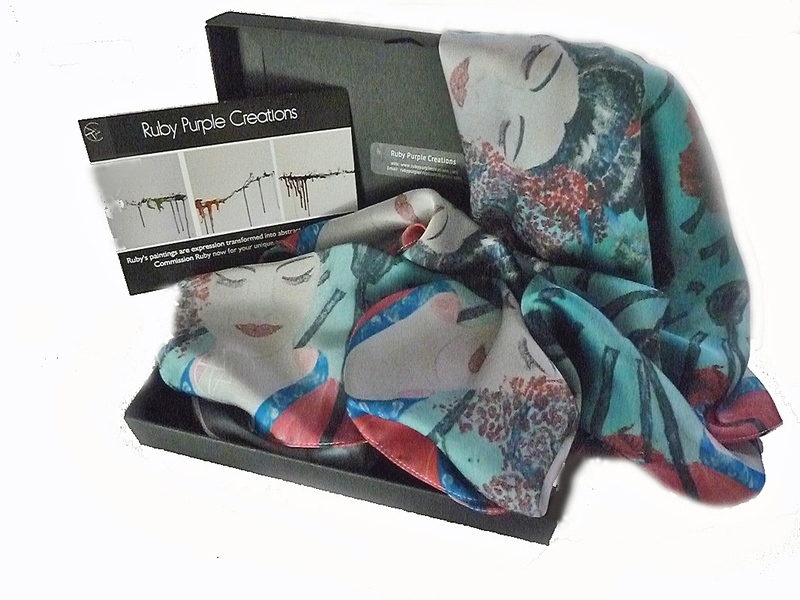 The Goss on Ruby Purple!